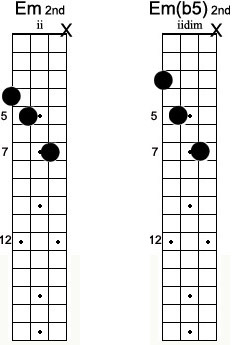 On the last of our five part series on 3-note chord vamps, we'll look at how these might work in the minor mode. Recall we started simply, major triads. 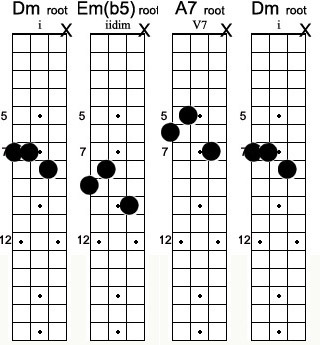 From these vanilla chords, we embellished, added some V7 propulsion, and navigated the Circle of Fifths somewhat in last week's Secondary Dominants. 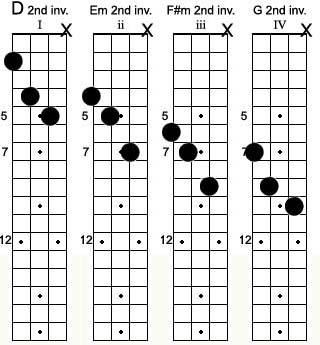 If you haven't noticed, each week we offered three different positions (inversions) which gives you virtually unlimited opportunity to transpose up and down the fretboard and across strings. 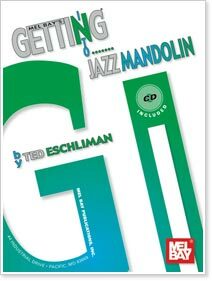 We can't stress enough how much this opens up your chord accompanying, let alone develops a foundation for more advanced chords and chord melody composition. 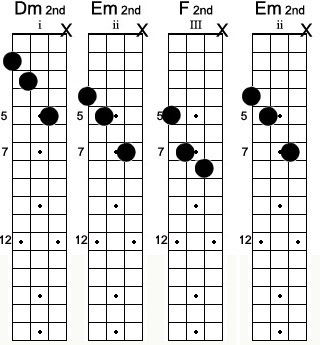 Of course, you can just take the first three chords and jam to Van Morison's "Moondance," Michael Jackson's "Billie Jean" or any number of minorish mode pop tunes. 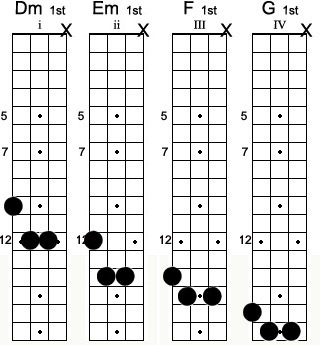 The theory purist will be exorcised all over this, noticing the ii chord is not of the minor mode. 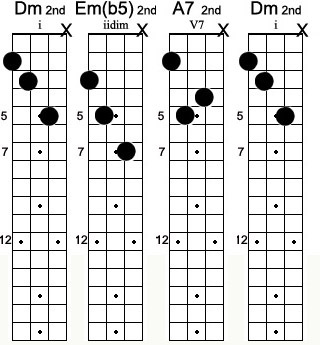 We're probably more accurate calling this first block "Modal" or "Dorian" since the ii chord of a minor scale has a b5 (diminished), and we'll deal with this when we want to express more harmonic accuracy. Remember, the context here is just vamping. 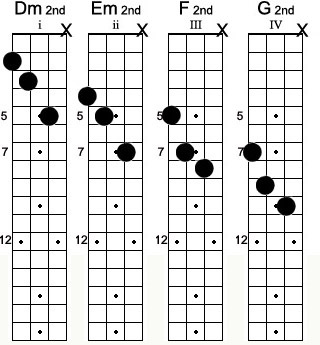 This last set is pretty far up the neck, and hopefully this pushes you to experiment with more accessible transpositions of the blocks. 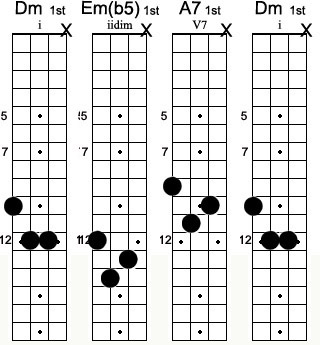 Try doing the preceding Dm grips down five frets as Gm. (And of course, all 12 keys!) 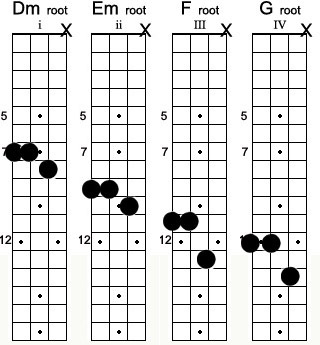 You're thinking chord patterns, rather than individual chords, and in a highly usable context. Enjoy the rich resources of 3-note Vamps!